Near-completion of the Spalding Building at SW 3rd and Washington is a reason to highlight Portland real estate in The Oregonian in 1910. 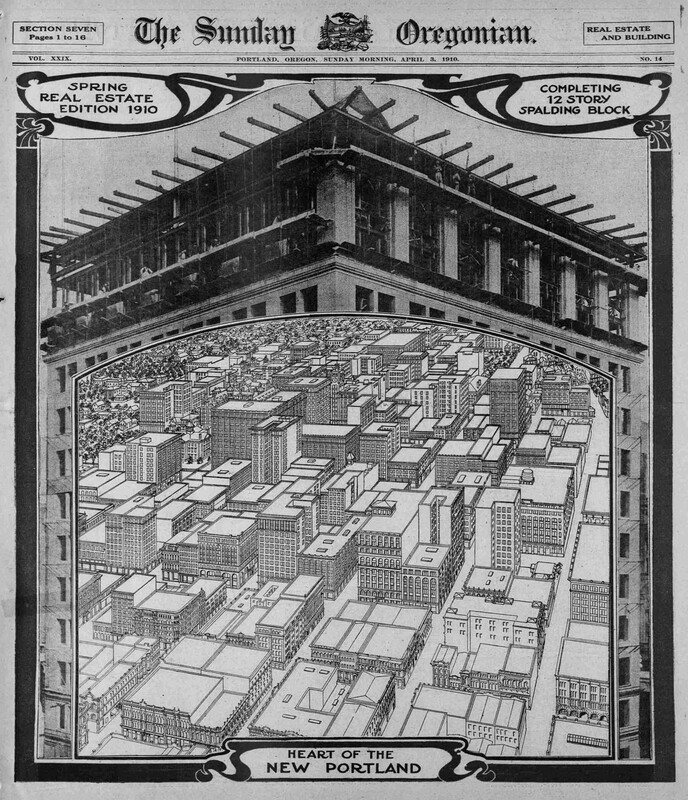 The illustration of the “heart of the New Portland” gives a terrific snapshot of the makeup of downtown at that time. 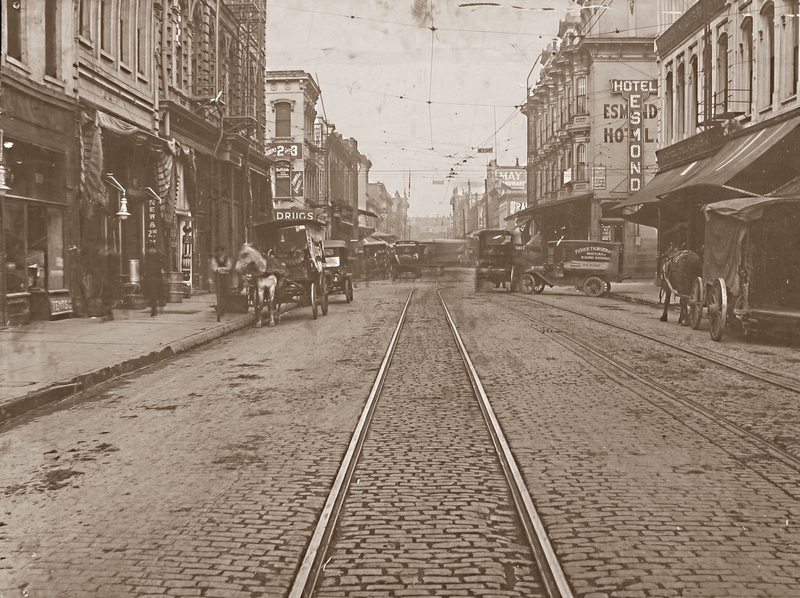 This lively street scene looking north on Front towards Morrison Street features the Esmond Hotel, perhaps Portland’s grandest hotel of the time; Presidents Hayes and Grant both stayed there. 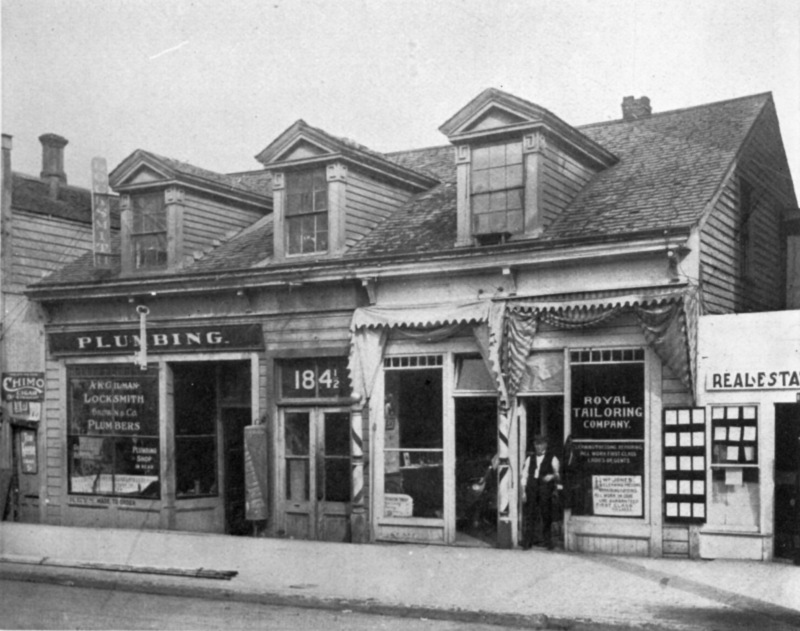 It was demolished in 1908. This great image was send by VP fan Dave Kramer who acquired the mounted 29″x40″ print in Rejuvenation’s salvage/antiques section. 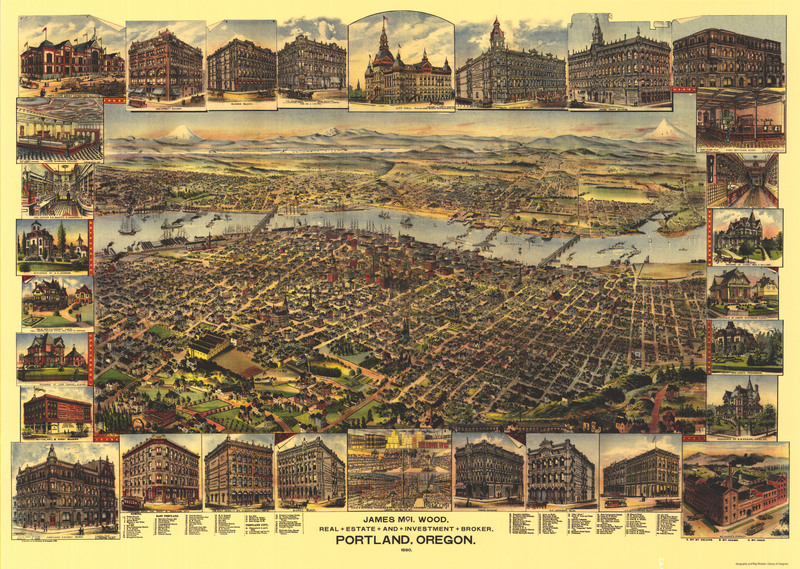 This richly colored 1890 bird’s-eye view illustration of Portland showed the city from the industrial Northwest to South Portland and included Albina and East Portland. It also featured detailed views of select homes and businesses. A key at the bottom located many other properties. The Mt. 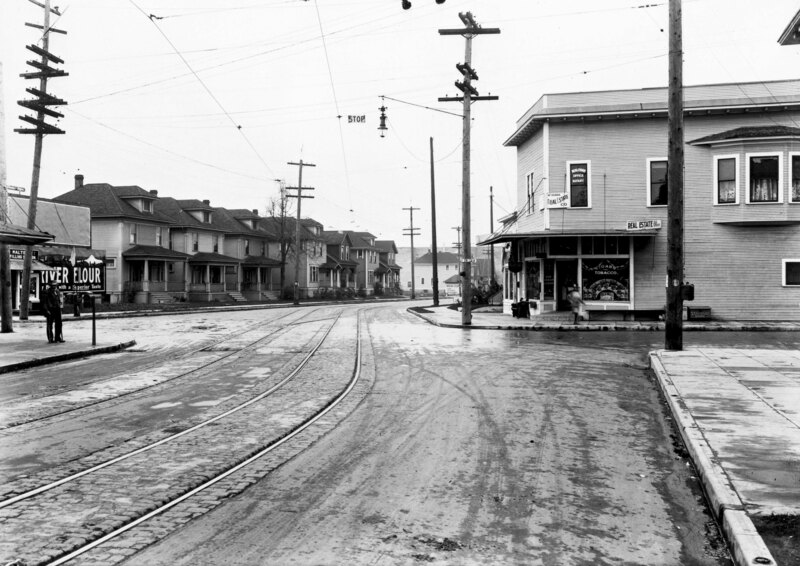 Tabor streetcar line once ran down the middle of SE Belmont Street, shown here in 1915 looking west at 39th Avenue. The first two houses on the left have been demolished, the other five still remain.